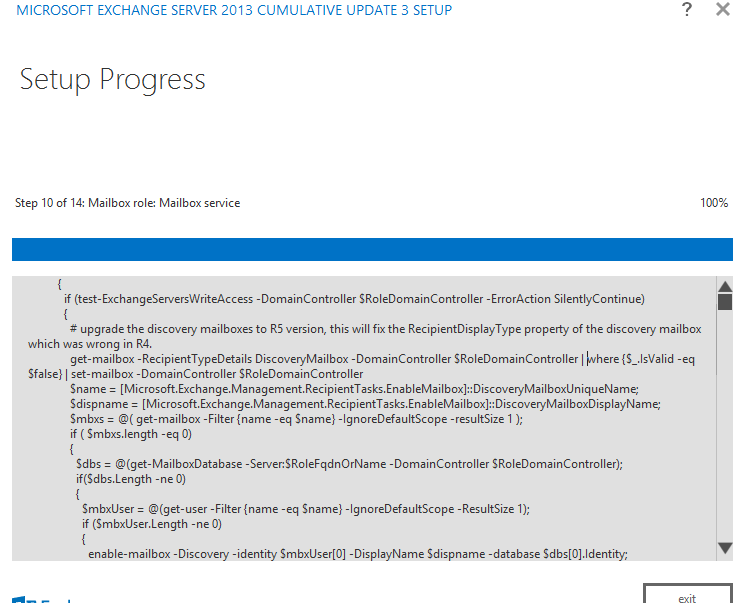 I was doing installation of second Exchange Server 2013 Mailbox Role for my DAG (Production) today and got this error. This error reminded me my Microsoft Exchange PSS days. I have seen this error before when exchange server 2010 was RTM. After updating the homeMDB value for the Discovery and two System Mailboxes restart the Information Store. This entry was posted in Microsoft Exchange.